As you may remember from last year March is a truly crazy month in our household with all three of our children celebrating birthdays! 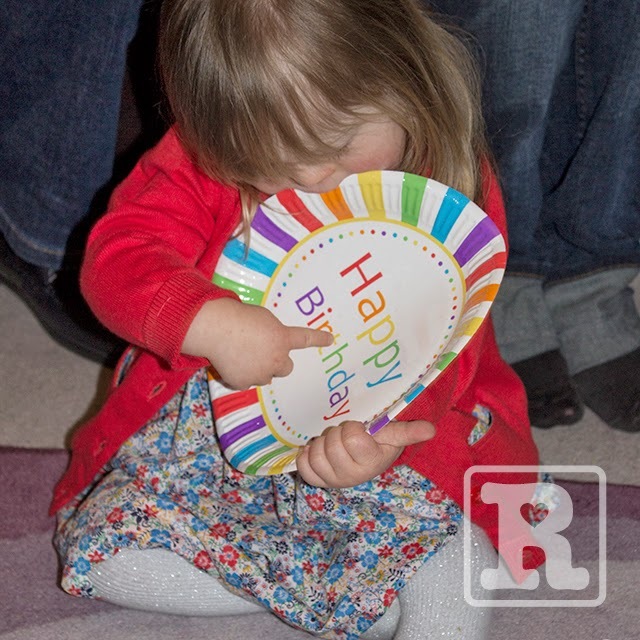 Rosie turned three this weekend and we celebrated at home with family and friends, all of whom have been an invaluable support to Karen and I since the very beginning of our journey – a journey that is rapidly teaching us how Down’s syndrome really is nothing to be afraid of – something we may not have believed in those early days. 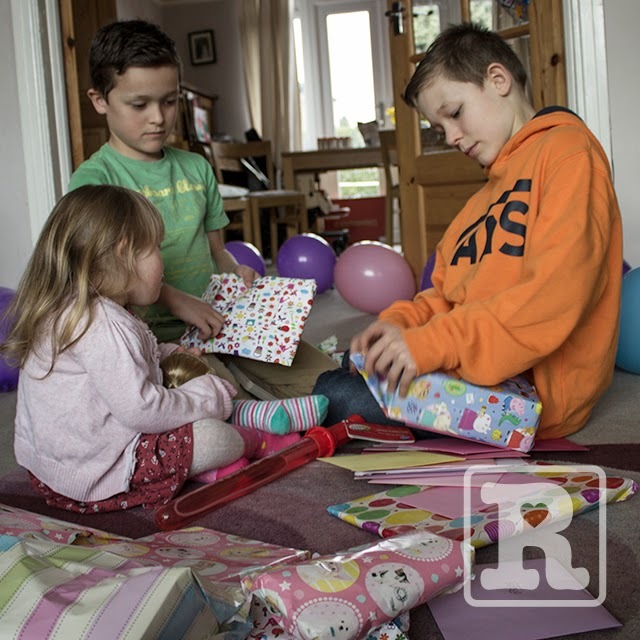 The party for Rosie was brilliant, we had thought it just a small gathering until we realised there were 18 children running riot, which in a modest house like ours is quite some achievement. My heartfelt apologies go out to our very understanding neighbours! Prior to Bud’s party we attended a fundraising do for our local support group called ‘Party on Down’s’ – organised by parent members who put an incredible amount of effort into making it a huge success. I was left gobsmacked by the number of people in attendance from parent members to general public. At the time of writing I believe in excess of £4300 has been raised! I’d like to extend a thanks to everyone involved for such a great event, Rosie had so much fun ‘bum-shuffle dancing’ and generally getting in everyones way! 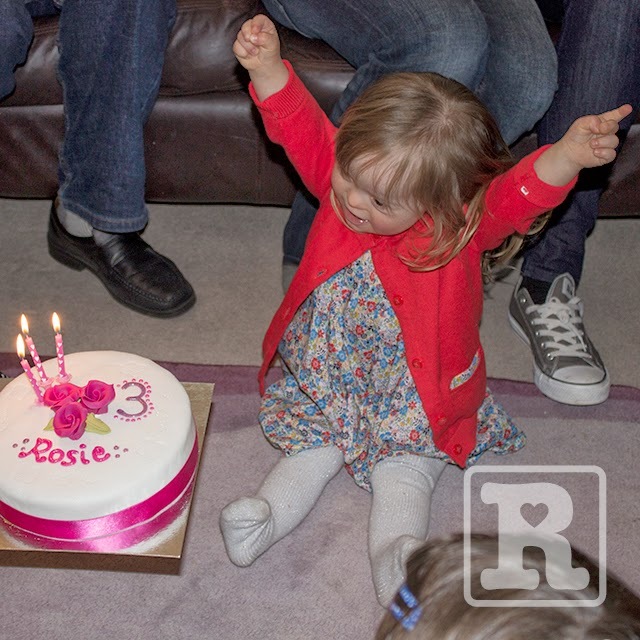 The kids’ birthdays usually make me stop and think how quickly they are growing up, however this year in Rosie’s case, I actually find it incredible she’s only turned three, It’s like we’ve had her with us forever. It’s difficult for me to remember a life without her – I don’t mean to imply it was better before, quite the opposite in-fact. Rosie has enriched all of our lives in such a positive way. It’s also difficult to comprehend she’s only three when I consider everything she’s already been through. I know I’ve written this before but Rosie has endured and come through more in her early life than I’ve ever had to in the erm 30 (cough) something years of my own – that is why she’s more than just a daughter she’s also my hero too. At the same time as looking back I’m looking to the future and whilst some thoughts fill me with fear there are plenty more that give me good reason to be excited and hopeful. As I scribble down this post I’m sat on a train to London where I’ll be attending a private viewing of ‘The Reveal’ by ‘Heart & Sold’. 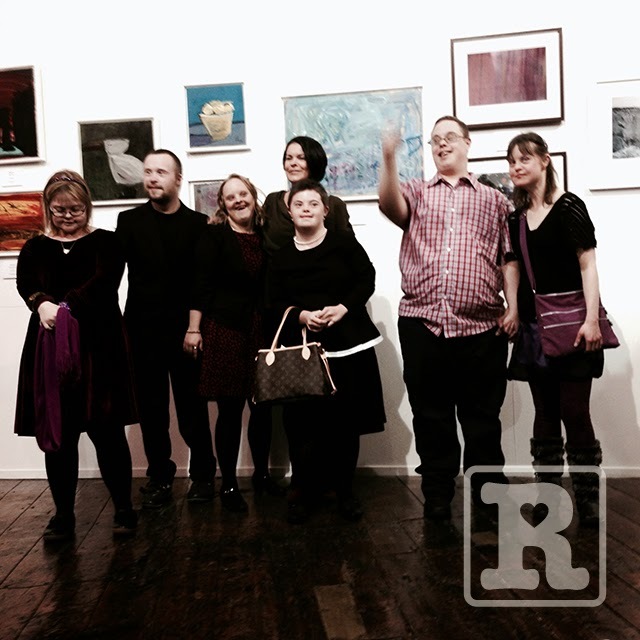 It promises to be an exciting exhibition of artworks by a collection of extremely diverse and talented artists – all who happen to have Down’s syndrome (DS). A fantastic example of the potential people with DS can achieve given the same chance, respect and attention as their peers. Whilst in London I was also honoured to attend a Parliamentary Reception in the House of Commons hosted by Dr Hywel Francis MP and the Down’s Syndrome Association (DSA). 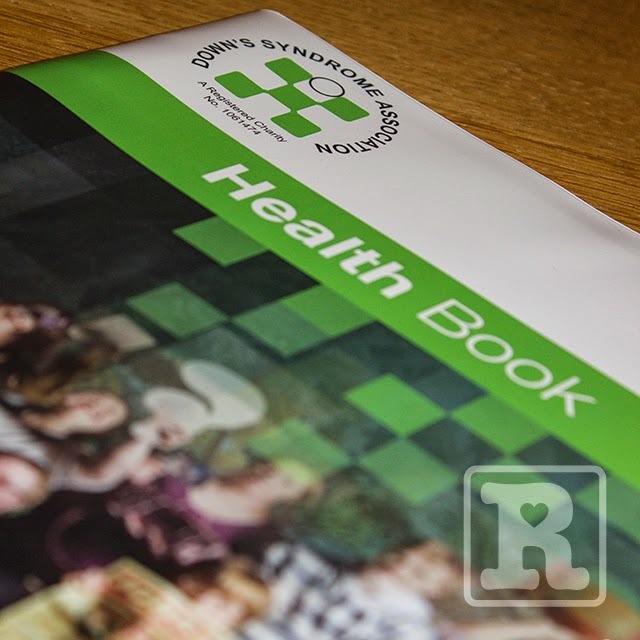 The reception was to highlight the need for Better Health Care for Adults with Down’s syndrome and to launch the ‘Adult Health Book’, which I had the pleasure of designing. This is another vital step forward in helping improve the lives of people living with DS. I won’t mention too much about the event as the DSA will be reporting it themselves in due course. I was particularly struck by Sara Pickard, the independent councillor for Pentyrch Community Council who has DS. She delivered a flawless speech emphasising (from first hand experience) the importance of providing better healthcare and more regular check-ups for adults with DS. 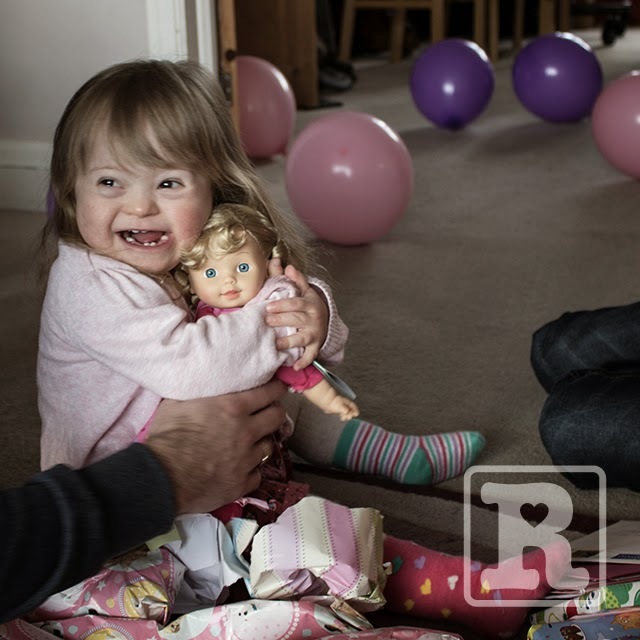 Contrary to what people may think I haven’t met many adults with DS so seeing people like Sara doing her work so eloquently really fills me with confidence for Rosie’s future. I could only dream of standing there in that environment and speaking so well. Sara closed her presentation by pointing out, “So Tuesday I’m delivering a speech in the House of Commons, London, then on Friday (World Down’s Syndrome Day) I’ll be presenting at the United Nations in New York!” If ever there was an example of the important roles people with DS can have in society… An amazing young lady who made me think the future’s most definitely rosie!